Central Board of Secondary Education, is an all India level school Educational Board under the Central Government. केंद्रीय माध्यमिक शिक्षा बोर्ड Syllabus for Class 9,10,11,12. You can download CBSE Syllabus for Class 10 and Class 12 for preparing for the board as well as a Competitive exam. We at CBSE Guide publish Central Board of Secondary Education Syllabus after a thorough research about the current educational demands. 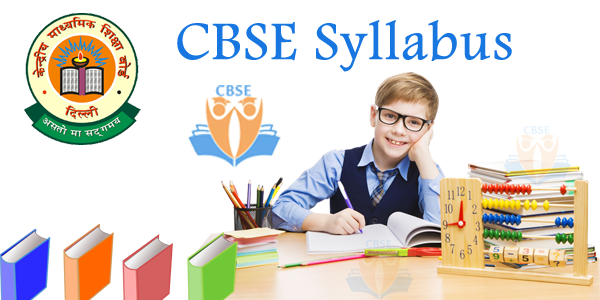 The Central Board syllabus is prescribed for specific subjects including all essential topics in a proper order so that students systematically cover all topics. Let’s check CBSE Syllabus 2017-18 for all classes including Class 9, Class 10, Class 11, Class 12 in the following section. CBSE Syllabus 2017-18 includes important subjects includes Mathematics, Science, Hindi, English, and Social Science. We have uploaded the Central Board syllabus 2017-18 for the comfort of the students. Hence, they can collect and follow the syllabus at their convenient time. The Central board conducts final examinations for All India Senior School Certificate Examination (AISSCE) for Classes XII and X. CBSE affiliates all Jawahar Navodaya Vidyalayas (JNV), all Kendriya Vidyalayas (KV), Private Schools, all the schools in the NCT of Delhi and Foreign Schools. CBSE Board has published the updated syllabus for classes 9 to 12 for the current academic year 2017-2018. Check out this latest syllabus/ curriculum for classes 9 to Class 12 as per the annual examination pattern. From the current academic year 2017-18 there will be no Summative Assignments (SA-1 and SA-2) examinations for classes 9 and 10. As per Schedule Central Board has made some modification and remodel the CBSE Syllabus for 2017-18 when compared to previous year. We advise the CBSE Students to go through the new syllabus and be in touch with CBSE official site or my CBSEGuide for updates and modifications in CBSE syllabus during the session. CBSE Syllabus 2017-2018 contains all the information needed by a student and the teacher during the academic year. 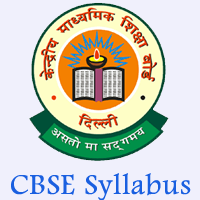 We at CBSEGuide upload the CBSE syllabus for class 9 to class 12 in a detailed manner along with marking scheme. It is always important to have an idea about the Central Board syllabus before starting the preparation. This Syllabus of CBSE helps students to easily understand what the topic is about and gives them a clear idea of what they are going to Study. So, keeping that in mind we provide an elaborate view of the syllabus along with an interesting article about each topic. Check out all the topics you have to cover from Subject and start your exam preparation accordingly. We also upload the CBSE marking scheme for each Concept and focus more on the Subject which allocates good marks. We at CBSEGuide provide the CBSE Sample Papers for Class X- Class XII along with important questions, chapter wise test series. Check out these Central Board problem-Solving Assessment papers to help you prepare well and clear your board exams. Let us have a look at the CBSE Syllabus Class 9 to Class 12 below sections. Check out CBSE Class 10 syllabus for the current academic session 2017-2018 here. For successful learning and to understand Concepts of Class X refer this CBSE Class 10 Syllabus. This Central Board Class X Syllabus incorporates all Important subjects including Mathematics, Social Science, Science, English, and Hindi. The Syllabus of Class 10 CBSE made your CBSE Exam preparation easier. Get CBSE Syllabus 2017-18 for Class 10 all subjects in the following section. Syllabus of Class 10 helping you to manage your time and study in a well-organized manner to gain good marks in CBSE Board Exam. Refer CBSE Syllabus for Class 10 2017-18, you can also go through this info about all the other assignments and activities. The CBSE Class 11 Syllabus will help the Class XI Students to know the topic to be coverd during the current Academic Year. CBSE Syllabus for Class 11 for Academic Session 2017-18 has been designed to satisfy all the requirements of CBSE students currently studying and appearing Summative Assessments (SA). We at CBSE Guide provide the CBSE Previous year question papers class 11 with solutions for all important subjects. These CBSE Class 11 Sample Question papers with solutions are very helpful for students preparing for all (SA) Summative Assessments. Let us have a look at the CBSE Question Papers 2017-18 in the following section. The CBSE Class 12 Syllabus of all Vocational courses effective Academic year 2017 – 2018 are available here. The vocational subject can offer as a regulation optional (additional) subject in combination with five Academic core subjects. Students can be allowed to access this CBSE Syllabus Class 12 for all subjects. The CGPA of Class XII will be calculated based on the grade obtained in five academic subjects. And grades achieved in the vocational subject will be reflected under additional (optional) subject. So it is important for every student to have a clear idea about the syllabus what they are going to pursue. Check out the list of Class 12 CBSE Syllabus in the following section. A Central Board syllabus may set by the CBSE professor who supervises or controls course quality. CBSE Syllabus for Class 10, Class 9, Class 11 and Class 12 nothing but an outline and summary of topics to covered in an education. It may be provided in paper form or online. Central Board Of Secondary Education set the syllabus for classes 9-12 every year. Refer this CBSE Syllabus for Class 9, Class 10 Class 11 Class 12. Central Board Curriculum 2017-18 contains the list of Topics and subtopics to covered in the Subject during the academic year. With the help of this Syllabus, students can easily check the list of chapters to be studied during their learning process. All the national entrance and competitive exams conducted based on this syllabus. In this CBSE Syllabus for Class 9 to Class 12 has all topics Right from the basic information to detailed one. For More info check out our site regularly. Bookmark our site for more about CBSE Syllabus for all classes. We provide CBSE Sample Papers for Class 9, Class 10, Class 11 and Class 12.